Animal Outreach needs your help in assisting with the medical treatment expenses for a very special little dog, Ziggy Stardust. Oftentimes people purchase or adopt cats and dogs only to realize that they either can’t take care of them or can’t afford special medical expenses. Such is the story of Ziggy Stardust, a beautiful and playful “Teddy Bear” puppy. Ziggy’s original owners quickly found out Ziggy had an undeveloped sphincter muscle, a condition called Artisia Anai. 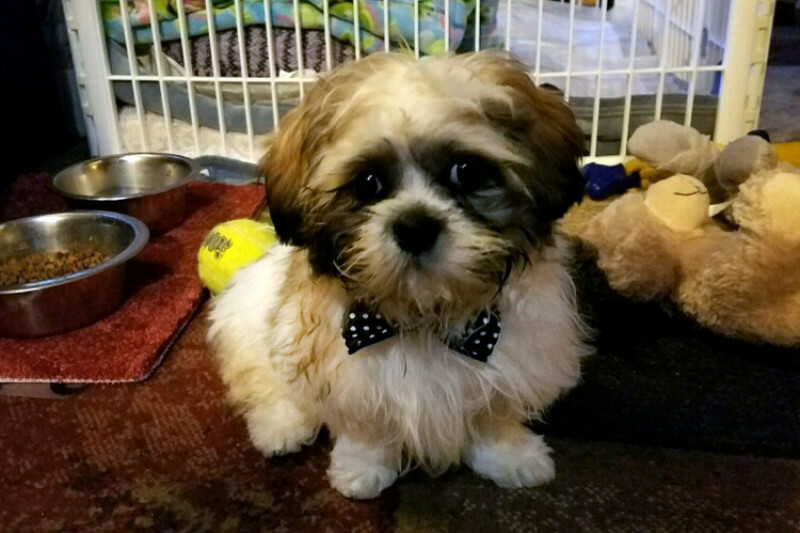 Little Ziggy is not able to control his bowel functions and was brought to a local veterinarian in January to be euthanized due to the high medical costs required to fix this birth defect. 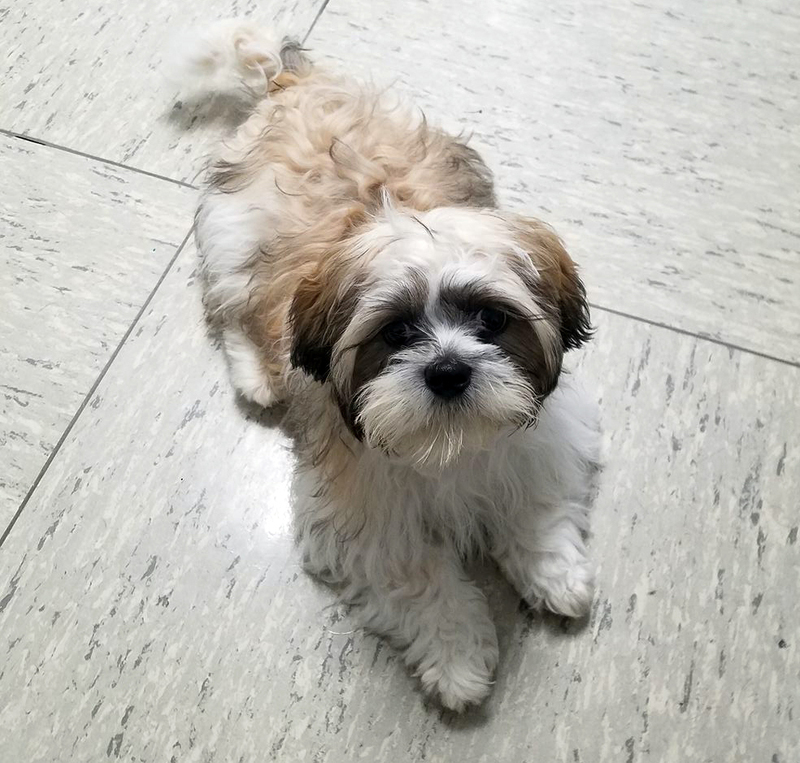 This local veterinarian knew there was a specialized procedure available and could not bear to put this adorable pup down. He works closely with Animal Outreach and contacted us to see what we could do to help Ziggy. Animal Outreach found that special someone willing to foster Ziggy until something could be done to assist with his treatment. Ziggy is such a good, playful, and loving dog that the foster quickly realized she wanted to help him through his condition. He was taken to the MJR Veterinary Hospital at University of Penn, where his condition was confirmed and a timeline for treatment was proposed, leading up to reconstructive surgery as he matures. A temporary balloon device was inserted to assist him in controlling his bowel function. The solution is not perfect, however, as he still has “accidents,” and the balloon needs to be replaced every 3-4 weeks as Ziggy grows. When Ziggy reaches maturity, reconstructive surgery can be performed and the prognosis for success is very good. The medical costs for the treatment and surgery for Ziggy are very high, and we are starting a GoFundMe page to help with Ziggy’s medical expenses. We are so thankful that his wonderful foster mom will not give up on him and hope you will assist us with any support you can offer toward this amazing dog's treatment and future. Animal Outreach of Cape May County thanks you in advance for your generosity. Animal Outreach of Cape May County is a 501(c)(3) non-profit organization dedicated to helping the abused, abandoned, and neglected animals of Cape May County and beyond. Animal Outreach began as a fostering network in 1998, and we still use foster homes to rehabilitate and care for animals in need. We also have an Adoption Center located at 600 Park Boulevard in West Cape May, NJ. Any funds collected in excess of Ziggy's expenses will be placed in a Special Needs Fund that provides medical care to other homeless animals with special needs. This page was created by Cindy Huf on behalf of AOCMC (as a GoFundMe page may only be created by an individual). All funds will go directly to the organization. On behalf of the volunteers and staff and Animal Outreach, I would like to thank everyone who helped us save Ziggy as well as the many other special needs animals who benefited from your generous contributions. Your support is appreciated more than we can say. Though this campaign is now closed, we invite you to follow us on Facebook @aocmc, or visit our website to continue your support of our mission. We are at www.aocmc.org. Thank you. We are so excited to tell everyone that Ziggy's treatment was a success! Best of all? 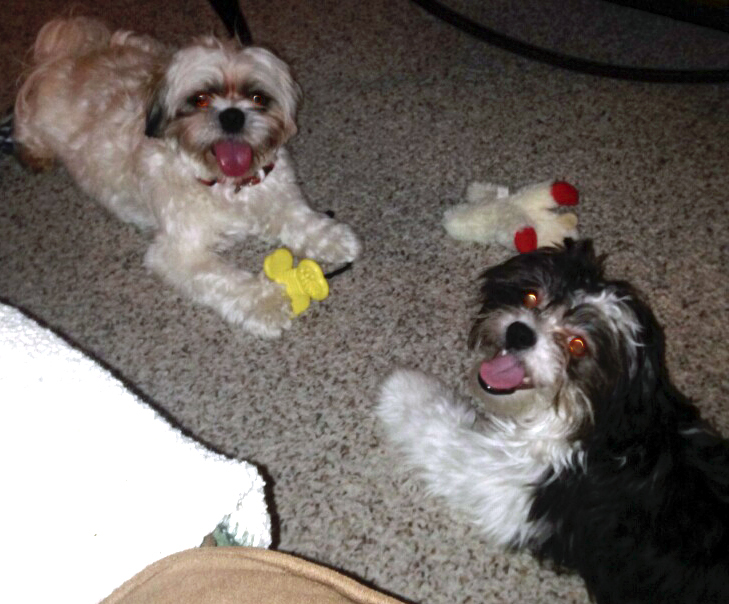 He has found his forever family and is enjoying life with a new sister! All further donations will be earmarked for other homeless animals in need of special medical care. Thank you for all of the support you have given. Ziggy and his new sister! Tomorrow is another hospital day, then home again with his foster mom for a few weeks off from treatment. Thank you again to everyone who is helping to give this sweet boy a new lease on life!